There you have it. The wisdom of a heart turned from pain to peace. 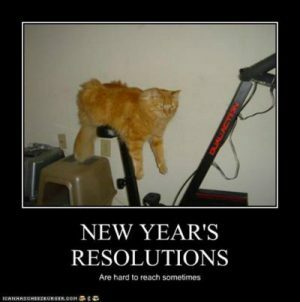 She didn’t bother with resolutions. Instead she embraced the ultimate solution that carried her from day to day, from month to month and from year to year. Our Comforter. When the burden weighs heavy, the load drains, He will whisper to our soul: “Come to me, all you who are weary and burdened, and I will give you rest. Take my yoke upon you and learn from me, for I am gentle and humble in heart, and you will find rest for your souls. For my yoke is easy and my burden is light” (Matthew 11:28-30). Our Counselor. Who reminds us, “Don’t worry about anything; instead, pray about everything. Tell God what you need, and thank him for all he has done. Then you will experience God’s peace, which exceeds anything we can understand. His peace will guard your hearts and minds as you live in Christ Jesus” (Philippians 4:6-9). Our Captain. When buffeted by rough waters of adversity, His word speaks to our soul: “Fear not, for I have redeemed you; I have summoned you by name; you are mine. When you pass through the waters, I will be with you; and when you pass through the rivers, they will not sweep over you” (Isaiah 43:1-3). Father, I look forward to a new year with you by my side. Challenges might come, bad news might increase and problems might multiply. But nothing will alter my security. I trust in your protection as my comforter, my counselor and the captain of my ship in the sea of life. In Jesus’ name, amen. What solution from the Lord can you count on in this new year? Our Lord is so good to us. I often wonder what people who don’t know him find to comfort them. Being short in stature, I can relate to this!